Asking for an apology to someone you hurt is one of the best gesture you can do in order to retain a close relationship.Your sister is probably the biggest strength of your life. She guides you, helps you, loves you and cares for you at all times. 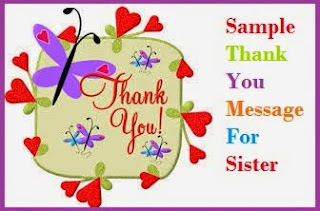 In case you had a fight or simple misunderstanding with your sister, it is best to convey your gratitude and love to her. Saying sorry to your sister can easily break the tension between you too. 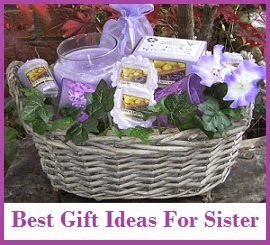 If you are at loss of words to how to say sorry to your sister help is at hand. 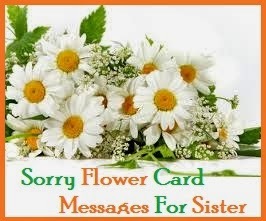 Here is a collection of sample sorry messages for sister Go ahead and choose the perfect wording to write in a sorry card to your sister. 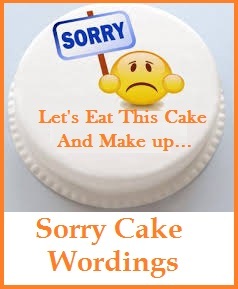 Read on to find the perfect Sorry SMS, Sorry text or Sorry email wording for sister and apologise to your sister right away. 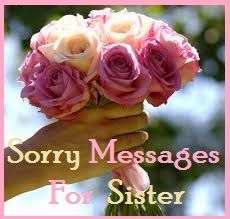 My sweet sister, I am really sorry for hurting you, I did not mean to do that. Please forgive me? My loving sister, you have always been by my side and supported me. But this time I have let you down and hurt you. I am really sorry. Each and every moment I have spent with you has been very special. I am really sorry for giving you pain and hurting you, please remember those special moments and forgive me? I have been mean to you and made you feel so bad. I did not do it intentionally, please forgive me and I promise to never say anything bad to you again. Saying sorry to you would be so difficult I never imagined. I know what I did was really wrong, I am sorry about it. Please forget about it and give me a tight hug? You have supported me when no one around me did that. 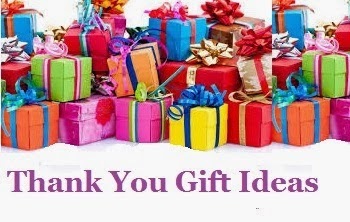 I am really very grateful to you. But I have hurt you today and for that I am really very sorry. I love you, can you please let it go and talk to me again? I know my actions have caused you so much trouble. If I had known it would lead to cause you pain, I would have never done it. Please forgive me? You are more than just a sister to me; you are also my best friend. I am ashamed to have hurt you in this way. I am really very sorry about it. Please forgive me my sweet sister. I have upset you by saying all the mean things that I said. I never wanted to hurt you in any way. I hope that you will forgive me. You are the one person that has never left my side, been with me in all ups and downs. I am really sorry for hurting you my sweet sister.You are the world to me so please don't be angry! I really love you. I shouldn’t have said all the bad things I said to you. I am sorry! You know that I love you right? I would never do anything to hurt you intentionally. I am really sorry that I did. Please forgive me. My dear sister, you are so sweet and I really treasure you as my best-friend and as my sister. You are one of the sweetest thing in my life. I realize that it was my mistake that’s why I want to say sorry for the pains. I didn’t mean to hurt you. Sorry sister. This is to express how sorry I was. I know it was my fault since the time we had an argument. I really miss you and I hope we can work it out. I know I have been so rude, I’m sorry sister. I just carried away and I believe me, I didn’t meant to hurt you. I truly regret it. I hope we can talk. Again, I’m sorry. Sorry sister for the misunderstanding. I promise not to do that again. I have learned my lesson and I know you don’t like it. Please forgive me. I’m sorry to my sweetest sister. I was so stupid with my behaviour last night. I know that I hurt you and I feel very bad about that. I’m sorry and I will try my best to be the best sister/brother for you. You are my sister and every moment with you is so special. But not last night, it was terrible and I was really affected with our fight. I’m sorry, I hope you will accept my apology. Every moment we shared together is special to me. I hope you can forgive me, and I admit my mistakes. Sorry for the troubles and I’m sorry about it. 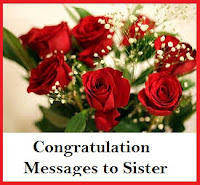 To my dearest sister, I don’t know what to say but one word for you and I’m very serious; SORRY! It was not my intention to hurt you it was just a little misunderstanding between us and I’m willing to make it up to you. Sorry sister. You are so sweet and loving, and I feel so guilty knowing that I just hurt you. I really appreciate you as my sister and I love you so much. I cannot take it anymore. I want to finish our misunderstanding and be best friends again. Sorry for what I’ve done. I’m so sorry about our fight. I hope you could find a place in your heart for forgiveness. I swear not to do that again. I’m really sorry. You are my sister and I think that you are the best sister in the world. And this time, I know that I hurt you and I want you to know that I feel so bad. Please accept my apology. Please don’t be mad at me. I know it was my fault and it was all misunderstanding. Can we talk it out sister? I’m sorry and I hope you can forgive me. The relationship with you sister is indeed something special. Having grown up together, you know each other like no one else can. If you have fought with your sister and said rude things to her then you must apologize to her and let her know that you love her a lot. 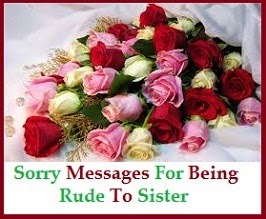 Here a few sample sorry messages for being rude to sister that you can use. I know I was angry at you last night but I shouldn’t have said those awful things to you. Let’s not fight anymore? Please? I love you. I really want to sort things out. I wasn’t thinking clearly and I don’t know why I was so rude to you. All I know right now is that I want to apologize to you. I made you cry! I am the worst brother ever. But I want to start being a good brother. I won’t fight with you ever again. I am sorry about everything. It wasn’t right for me to behave with you in such a bad manner and I truly apologize to you with all my heart. If you forgive me I would be grateful. You have been my support all my life and all I did was hurt you when said those mean things to you. I am sorry about everything I said. I hope you will forgive me! Will you? You love me so much! I see that every day when you try and help me out. I am sorry I was rude to you yesterday. I should have handled things better. You remember when we were young we used to fight all the time but we always made up and forget about everything the next moment. Can’t it be the same this time? I am sorry, please forgive me! I wish we were children again. We never used to fight so ugly back then. Can we be kids again today? Can we just stop fighting and forget all the bad things I said. I am sorry about them. You know I have been stressed a lot these couple of days right? I know that I should have just come to you for help instead I got angry and took it all out on you. I am so stupid. Please forgive me for doing that. You’re my sister and I love you. It pains me to see you hurt and knowing that I am the one who hurt you is the worst thing ever. I am sorry. I will never do it again. I know how it feels to get hurt. I know how it feels when someone talk to you rudely and that is why I want to tell you that I am very sorry. You are the best sister in this whole world. So, would you please forgive me for being the worst brother?